Hi everyone, today I have such a beautiful polish to share with you all. It’s one of the few sentimental polishes I own in my collection because it’s a 1/4 of the Essie Resort Collection 2010 which is my favourite Resort collection (with this year’s that Essie coming in at a close second) has ever released to date. As well, it’s one of my first Essie’s and it’s the polish that started my love affair with blue nail polish! 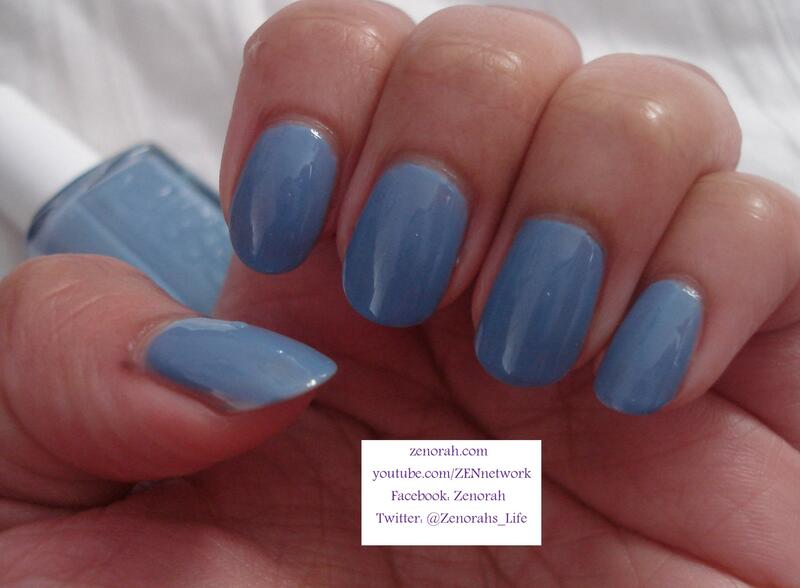 Essie ‘Lapis of Luxury’ – is a cool toned blue (borderline periwinkle) oceanic crelly polish. As mentioned earlier it was originally released in Essie’s Resort Collection 2010 but is now a permanent shade in their range. I am absolutely in love with this polish and it love the soothing, relaxing and calming nature it possesses. It was opaque on two coats, dried within 10 minutes and I was very impressed with the formula of the polish. I personally love the thin consistency of some of Essie polishes (not everyone loves them which is fine – different strokes for different folks lol). The reason why I love their crelly formula is the high shine finish and the thinner the layers of polish (whether it be 2 or 3 coats) they last a long time without chipping! As well this bottle of polish is almost 3 years old and it’s just as good as some of my recent Essie purchases so that really knocked my socks off! I adore this polish, it’s the perfect accessory to bright & bold fashion prints/patterns and looks stunning with a floral dress!! I haven’t tried it as a pedicure but I would imagine it’s equally as gorgeous as a manicure. I think it’s beautiful and definitely one of my favourite polishes ever in my collection. 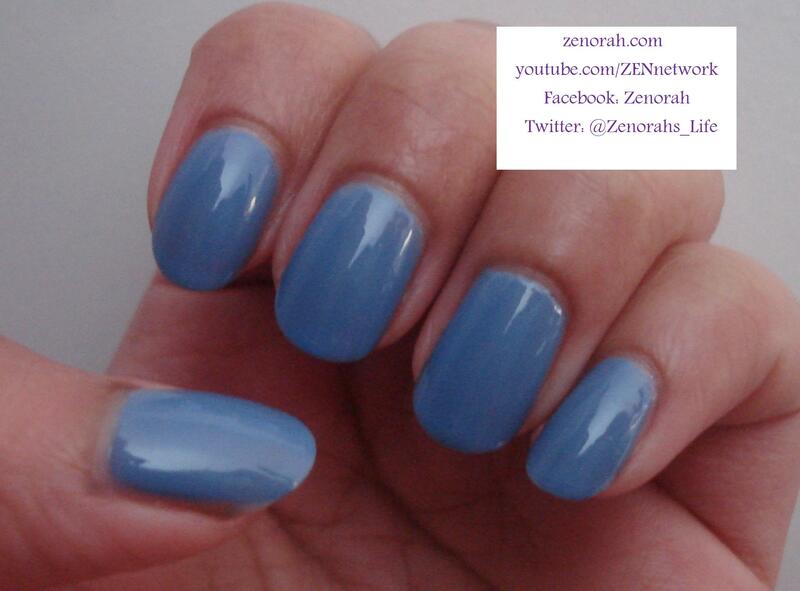 Every time I look at my nails, the colour calms & relaxes me – so this is a must have polish indeed! Do you own Essie `Lapis of Luxury’? What are your thoughts on this nail polish? Nice! I hope to try one day!